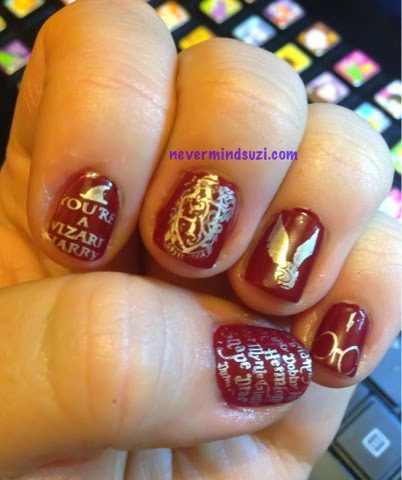 I got this fabulous stamping plate from Vanity Nails and as a Harry Potter fan it makes me very happy!! 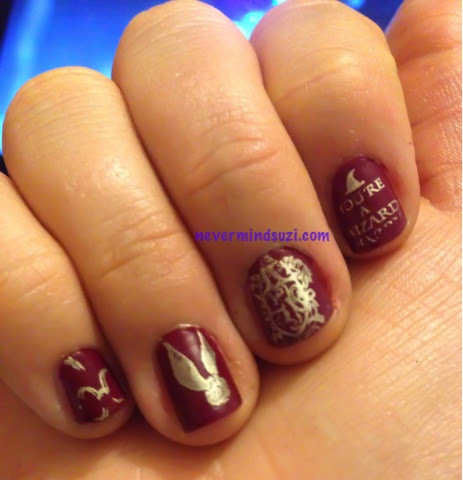 I've used Nails Inc - Manchester as the base and Barry M - Gold Foil for stamping. I decided to focus on the early days. 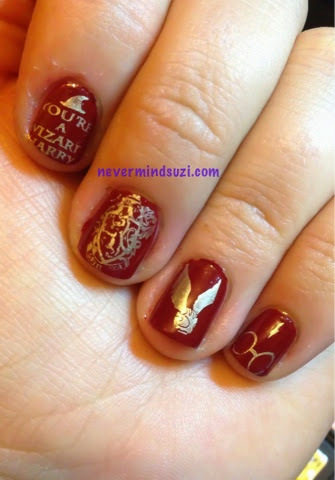 So we have Harry's iconic glasses and scar (pinkie), the golden snitch (ring), Gryfindor Crest (middle), You're a Wizard Harry (index) and the names of a lot of the main characters (thumb). Aren't they fab and true Gryfindor colours! !